In this article, we take a look at the role recommender systems are playing when it comes to offering a much more personalised and powerful eCommerce experience to your website users. Users love it when companies can second-guess their thoughts. In the ideal world, our favourite food chain creates weekly grocery lists for us. A fashion brand sends us a curated list of new garments to complement our current wardrobe. We don’t need to put much effort into getting the essentials we need. Brands do the majority of work for us, using machine learning (ML) and AI. While we are not yet at this stage of predictive shopping experience, machine learning technology has become increasingly accessible – both as plug-in solutions and custom-built algorithms. Recommender systems, in particular, are the new favourite among eCommerce companies. Why? The post-adoption benefits are substantial as the next four use cases showcase. Pressed on time, always on the go, modern consumers shop in bursts from multiple devices, rather than take the time to engage in a thorough shopping marathon (unless it’s the holiday season of course!). Brands delivering rapid, on-point offers capture the most benefits. 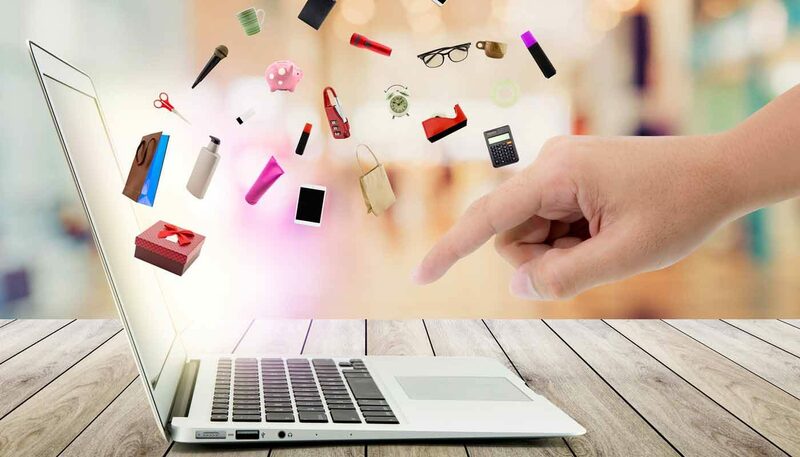 According to the Personalization Consumer Survey carried out by MyBuys, 48% of consumers spend more with an eCommerce company delivering personalised shopping experience. ML systems allow you to capture data from past and current shopping sessions and transform it into dynamic offers. For instance, you can show a unique version of your store homepage to different customer segments. New visitors can see your best sellers first. Regular shoppers can be directed towards new offers or personalised discounts. You can display better cross-sell and up-sell offers at different stages of the user’s buying journey to grow the average basket size and increase conversions. On average, an intelligent recommender systems delivers a 22.66% lift in conversions rates for web products. Furthermore, ML can pinpoint which inventory to showcase (apart from the best sellers). Smart recommender systems can scan through your entire product catalogue and line up the best products for individual buyers. You can take it a step further and display the nearest bricks and mortar location where that range of products is available. Or capture browsing data and target the prospect with local inventory ads later in the day. Not every prospect is ready to buy from you here and now. Some will land on your website with another intent – to receive more information, to compare prices and so on. They need an extra kick to move further down the sales funnel. Machine learning algorithms can help you understand what kind of content will prompt the user into to taking action. You can further improve your on-site experience by creating dynamic content recommendations for different kinds of audiences like Netflix does. Their machine learning platform changes the artwork depending on what you have watched in the past. 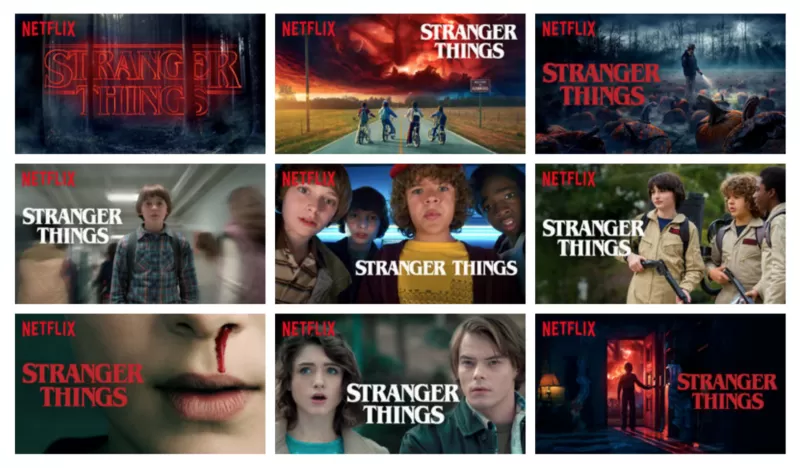 For example, with Stranger Things, if you’re a sci-fi fan you might see an image of the boys cycling towards a sci-fi looking sky. Whereas if you’re into rom-coms, you might see an image of Nancy and Jonathan. Voice search has become a new battlefield for brands. Amazon Echo and Google Home are entering more and more homes. Their owners don’t mind receiving relevant deals, sales and promotions from brands. Then there’s commuter commerce – a $230 (£176,571) billion opportunity for brands. 64.9% of commuters turn to a voice assistant provided by the auto manufacturer to order groceries, food or drinks and pick them up at a drive-through. So why not connect with them on their way to work? Gartner says that voice search optimisation will result in a 30% increase in eCommerce revenues, but creating a new SEO for voice search strategy is only one piece of the puzzle. You will also need to develop voice landing and voice-guided experiences for such shoppers. Machine learning algorithms can be trained to strike a conversation with voice prospects. Toyota is already experimenting with this approach. Their demo voice app can lead a conversation about their car models and then offer to follow-up with a text message if the prospect is interested. As mobile commerce grows in popularity, you may have noticed an increased demand for ‘dognuts’ and other funny products you don’t sell. Misspelt product names are a source of amusement for your team, but they may also be a lost business opportunity. When no ‘blue cuppa’ is found on an eCommerce website, a lot of shoppers will go searching elsewhere. Even descriptive queries like ‘a white blouse with golden buttons’ or ‘vitamins for winter’ may not lead shoppers to the products they want. On-site search engines are rather ineffective when presented with unusual queries. Machine learning algorithms can deal with this issue. Apart from being trained to recognise a broader range of synonyms, they can also help you automatically categorise your products based on their features e.g. material, season, the colour of the buttons and so on. 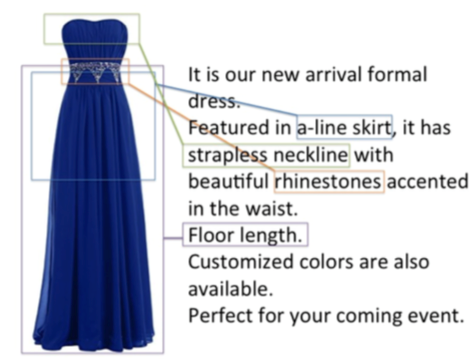 Deep learning algorithms are already capable of analysing product images and breaking them down into specific attributes e.g. V-neck, A-line skirt, knee-length etc. This can save your team hours of work on manually adding all those things to thousands of product descriptions. Customers will also benefit from more advanced search capabilities, allowing them to discover a wider range of products to their taste. And here comes the best part: intelligent recommender systems grow with your business. As they gather and analyse more data about your customers’ habits, they deliver even better recommendations. It’s no surprise then that 66% of UK large retail brands have plans to invest in machine learning for digital marketing strategies this year. If you’re not one of them, you could get left behind in the eCommerce race. Want to chat recommender systems? If you’re interested in learning more about how a recommender system could significantly enhance the performance of your website, call us today on 02393 830281 or submit your details here and we’ll call you. What should you do when you are an online flower retailer, but aren’t sure where to spend your marketing budget? How machine learning gave the answer. Graphic design is not a term nor profession many people would associate with machine learning (ML) or artificial intelligence (AI). However, in recent years, there have been a number of handy innovations that can aid the designer in harnessing the power of ML and AI.